A library boat on the canal brings books to borrow and buy to a young boy's town. One title catches his eye, and he spends the next couple of weeks earning the funds to buy the book when the library boat comes back to his town. A great story of diligent work for young kids as almost everyone can relate to working and saving for something special. I picked up this one because I recognized the married author/illustrator team from their other well loved books, The Library and The Gardener. While the actual story seems a bit weak, (young Amish girls travels into the city, but remembers her Amish life back at home), the illustrations provide plenty to enjoy, including the end covers at the beginning and end of the book. We have a ton of crows in our area of Ontario which provides many opportunities for us to observe their behavior, so this book seemed like one we would like. It is set in Russia and tells the true story of the author's family who befriended an injured crow and nursed it back to health. I loved the illustrations and have shared several of my favorites. Another true story, this time of French school boys inspired by their teacher to search for cave secrets in their village on the cusp of the World War 2. The ancient artwork they discovered captured the interest and excitement of the historians and anthropologists around the world. The underground illustrations provide such a realistic sense that I even felt a bit claustrophobic on those pages. A very nice book. A bit of fantasy, a bit of formulaic sappiness, and a lot of hedge-carving make up this fun story of a mythical farmer and his sons. The artwork carries the story along even through the more predictable parts and ends with the sons honoring their father and his true love. It may inspire some hedge trimming or at least a trip to formal gardens to see some real animal hedges, like maybe Longwood Gardens perhaps. This is another book by the same writing/illustrating team as the book above and also gets a pass for being a little bit sappy at times. An Italian grandfather recounts his family's emigration to his granddaughter through the items he kept stored in old matchboxes. The artwork depicting the grandfather's memories is endearing and conveys the emotion of his family's story. It may inspire your children to start their own collection. Having enjoyed reading some of E.B. White's essays, I thought I should actually read his children's novels for myself and not just rely on the movie versions. Well, Stuart Little, the book, was a profound disappointment and theories abound as to what happened to White while he was writing this book. But let's just say, that for me, the movie version outshines whatever White was trying to do with the book. Oh well, I still love his essays and will go finish Charlotte's Web and end with The Trumpet of the Swan, but for me, Stuart Little was a let down. 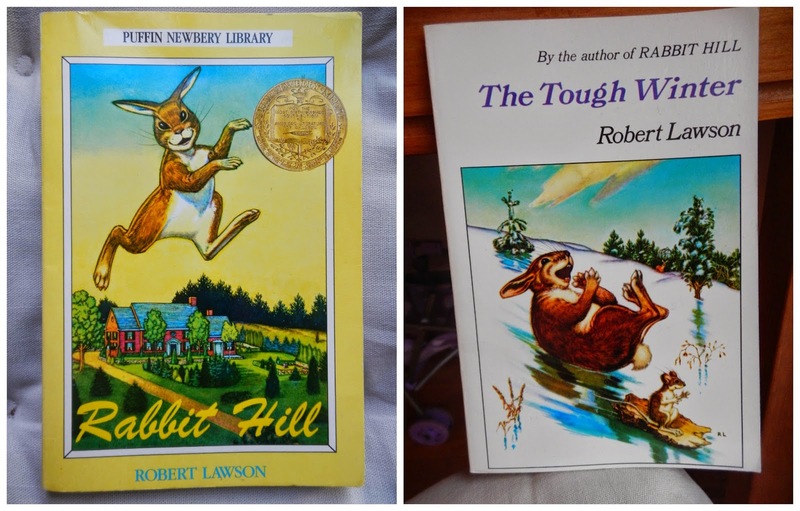 These books form a series which recount the adventures and misfortunes of the animals living in Rabbit Hill. They are short books accompanied by black and white illustrations generously scattered throughout the stories. An acquaintance with St. Francis of Assisi would help the reader to understand what motivates the humans in the story to live peaceably with the animals of Rabbit Hill. I read both of them, but Seth wasn't interested in finishing them. He found them boring which is rare for him, but understandable for these books. Thankfully, they don't require a huge time investment. I found this at my annual used book sale and picked it up due to its vintage look. It turns out, the author was a well-known Australian writer and used her homeland as the setting for her books, this one included. In this story, three siblings move from their native England with their parents to live on an inherited orchard estate to determine if they can enjoy this new and different country. I read it first and then passed it on to Seth who really enjoyed it too. If you can find a copy, this is a true adventure story with lessons on growing up. Another intriguing story line from William Steig which gave us a great discussion time together one afternoon. It made for a great plot to ask should questions from since the plot involves something being stolen, someone being accused, and someone hiding the truth. It always amazes me how much we get out of a story when we start to think about the story in this way. These chapter books by Steig are short, illustrated and easy to read, yet the story is rich with ideas. It had been a few years since I first read this one, so I put it back in the line-up since my memories of the story line were quite faint. I know the main character is a girl, but her growing up story is not limited to just girls. Leaving one household and moving to another provides Betsy the opportunity to really live, to be aware of life, to know what she was capable of doing and being. And this understanding brings her full circle when she is reunited with her original caretaker, her Aunt Francis. Now she knows who she is and what must be done. It is a truly wonderful story and deserves to be read by everyone. 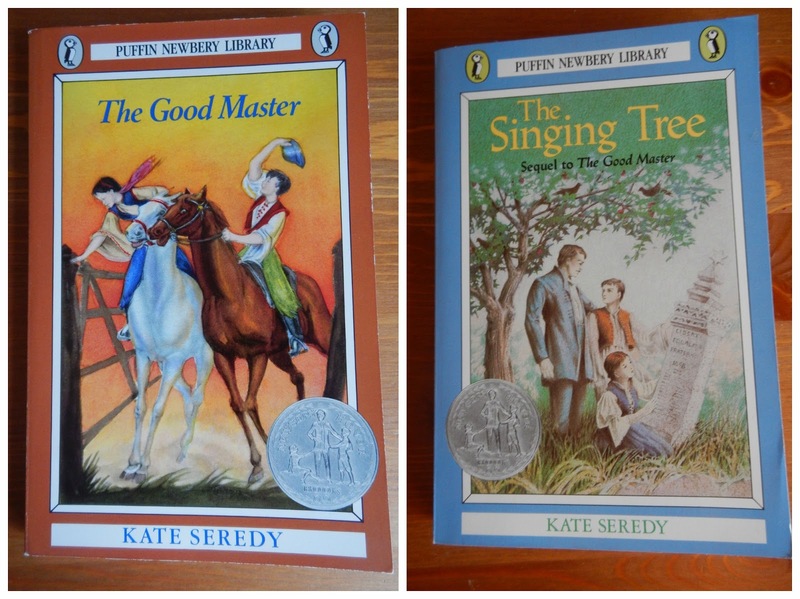 I read this one often as a young reader, but returned to it now as a mother myself who can totally relate to Mrs. Frisby and the risks she takes to ensure the care and safety of her children. It also brings ideas of the value of work, leadership, and the ethics of using animals as lab tests. There is a lot to consider in this story. Having read rave reviews of books by this author, I decided to order some of her titles and see for myself. They are everything that others said and perhaps even more. The interweaving of family life, into village life, into the lives of nations makes for a wonderful and varied story that causes you to long for more. Bravery and compassion blend well into making believable characters while the mixture of ancient history blurred into folklore running into the modern era of world wars makes it stimulating and heart-warming. And it looks like some of Kate Seredy's hard-to-find novels are being republished this year by Purple House Press. This is on the Ambleside Online list for an upcoming year, so I thought I would give a turn now and see what treasures it yielded. While it covered some interesting background on many different aspects of British children's literature, it did not produce a real sense of delight for me. I kept looking for something that would cause me to want to curl up with the book and slow down to enjoy it, but instead I felt myself impatient to just finish it already. The interview she secured with Arthur Ransome was very disappointing and her thoughts afterwards even more disjointed as she looked back at what he had shared with her. Perhaps he wasn't a friendly man, but we can still enjoy his stories and I felt like some of the background information explored in the book, somehow rubbed away some of the magic and enjoyment of these British classics. Anyways, you can decide for yourself, but I likely will not be using this in our future AO years. thanks for the good reads, Heather.